Vara Guest House is a bed and breakfast establishment located in Garden City, TX, offering affordable, unique accommodations with amenities including pool table, pay per use laundry facility, peaceful outdoor spaces, complimentary beer and wine, and a full hot breakfast, in a charming 1907 home with modern conveniences. Vara Guest House also offers cabins and RV hook-ups for rent by the night, week or by the month. Garden City is a quiet West Texas town established in 1886, and is located approximately 36 miles southeast of Midland, 27 miles south of Big Spring, and is also conveniently located near Big Lake and Sterling City. Nearby attractions include CAF Airpower Museum, Susie’s South Forty Candy Factory, Wagner Noel Performing Arts Center, the Permian Basin Petroleum Museum, Christoval Vineyards and Winery, and more. Each of the guest rooms and cabins at Vara Guest House is furnished with the comfort of our guests in mind. Standard amenities include pillow top mattresses, HD Satellite TV with premium channel line-up, and complimentary high speed 4G WiFi. 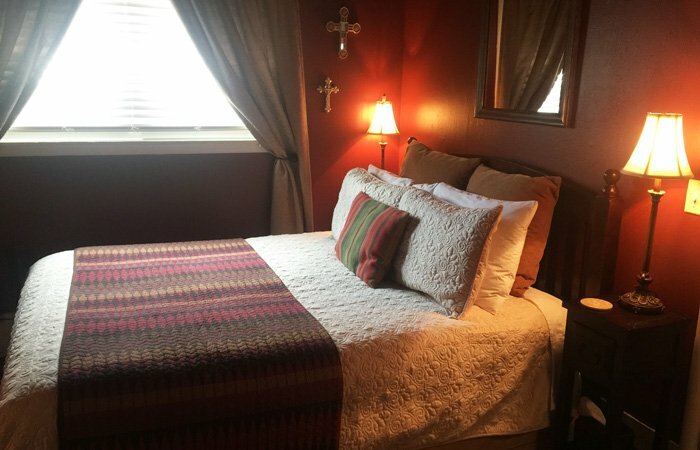 Vara Guest House proudly introduces "Wine Down Cottage", located in the beautiful mountain community of Ruidoso, New Mexico. 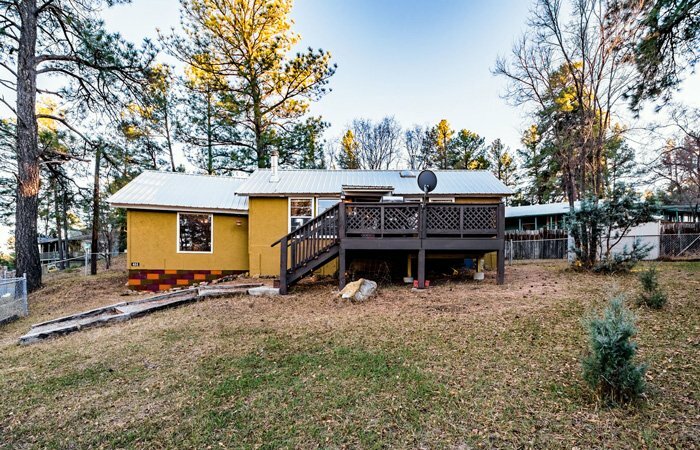 This fully furnished one bedroom vacation rental unit is locally managed by Hummingbird Cabins, and they will do everything needed to ensure your stay is Amazing! 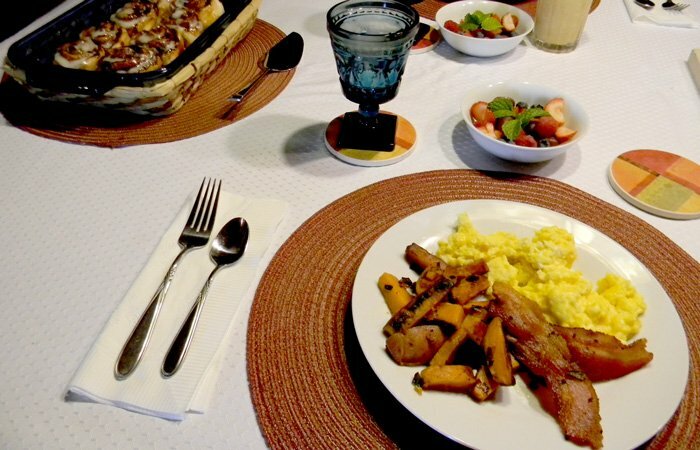 Vara Guest House offers a full hot breakfast (for an additional charge per person) as well as a complimentary self-serve continental breakfast (included in the rate for rooms in the main house), which includes coffee, juice, milk, tea, assorted hot and cold cereals, breakfast bars and assorted fresh fruit.